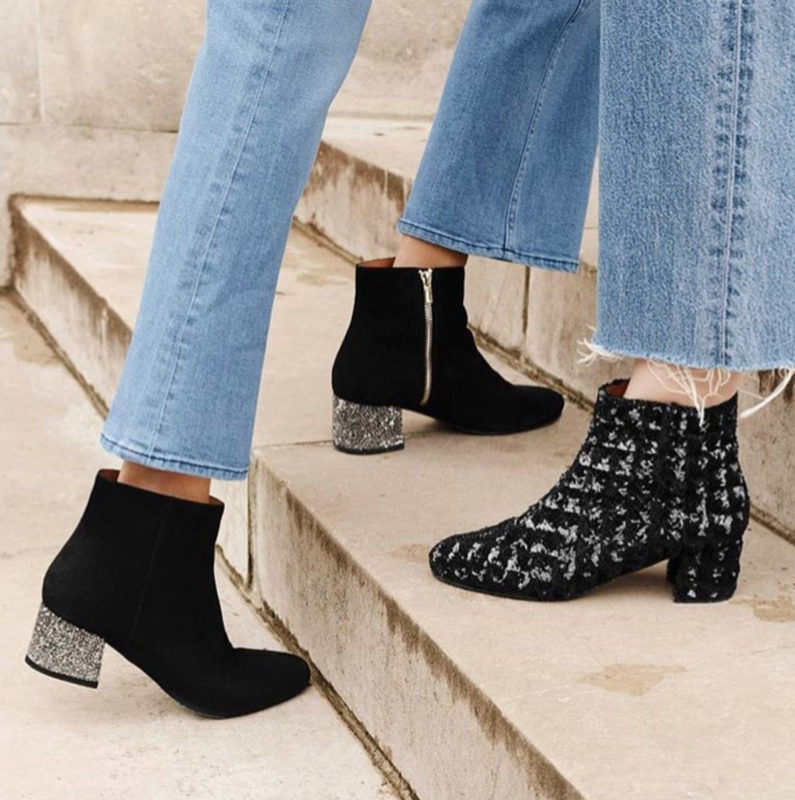 How to style your favorite booties and low heels with raw-edge denim. 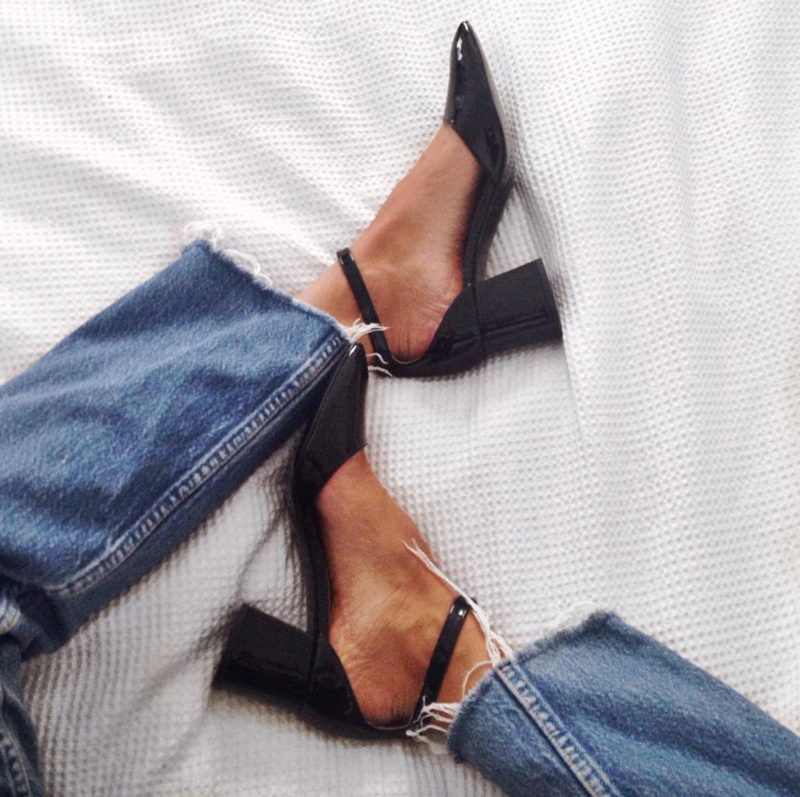 The combination of cropped denim (preferably frayed) showcasing a polished shoe isn&apos;t particularly new, but my obsession was reawakened over Christmas break when I found myself "Insta-pinning" the look on repeat (on that note, have you guys started using this new feature of Instagram? I&apos;m hooked). 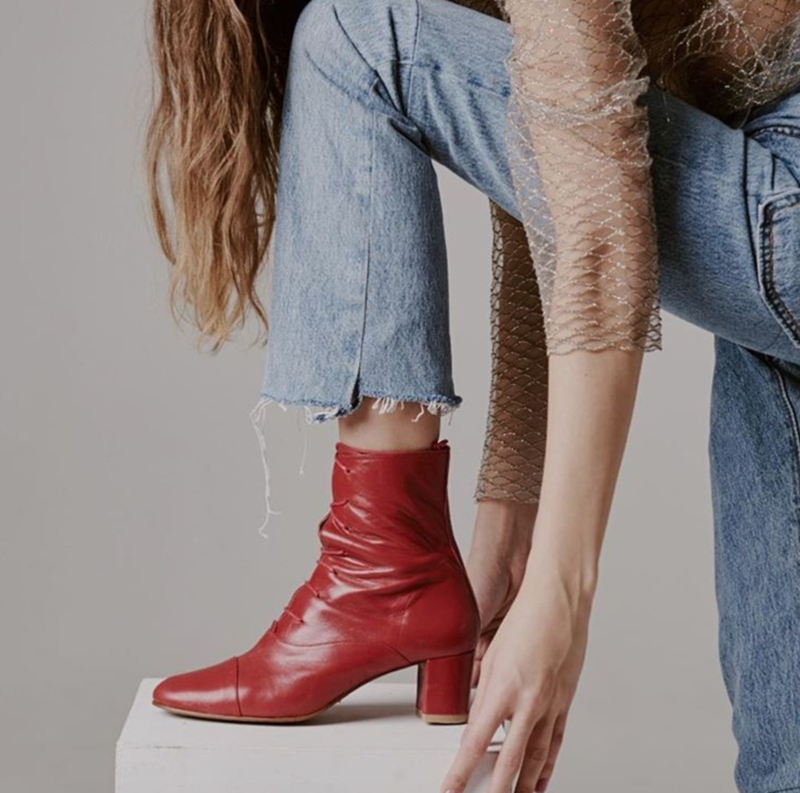 What makes this look so appealing is the opposing elements: the casual, cool-girl feel of cropped, flared, and ideally-frayed denim, with the polish of a shoe like a sleek boot, pump, or Mary Jane. 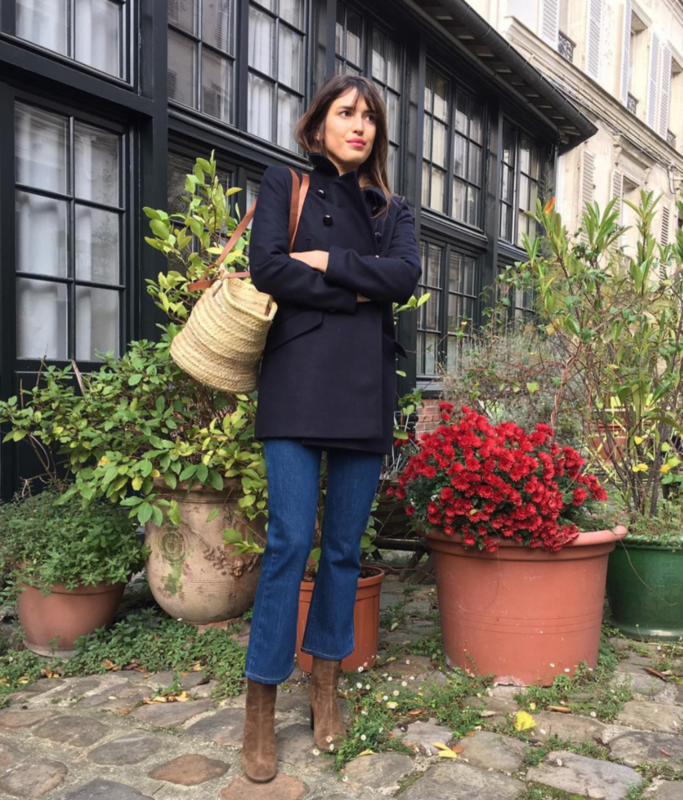 Perhaps unsurprisingly given the country&apos;s sartorial supremacy, pretty much all of my photo inspiration on the trend comes from two of France&apos;s leading ladies: Jeanne Damas and Anne-Laure Mais. 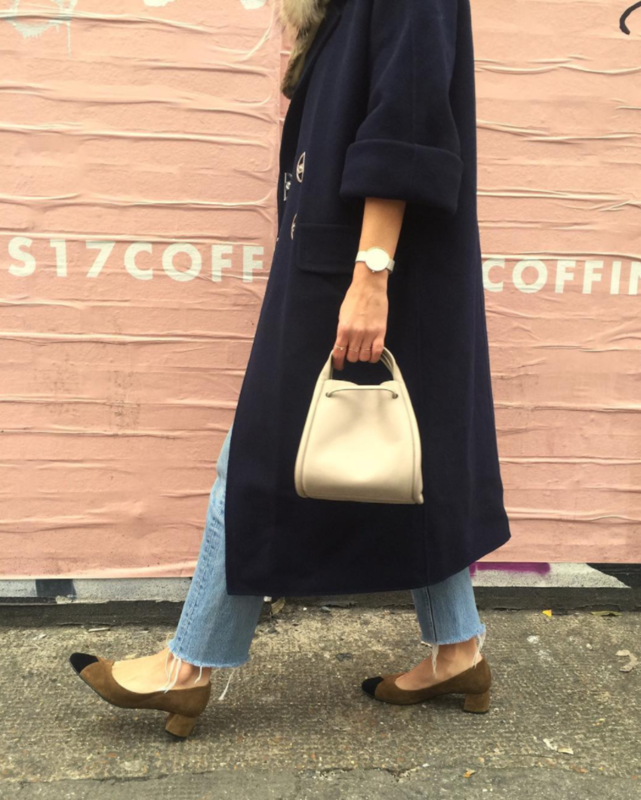 Their style epitomizes what I&apos;m drawn to: effortless, simple, and classic, with a strong focus on vintage-inspired denim and accessories (shoes, outwear, and bags). 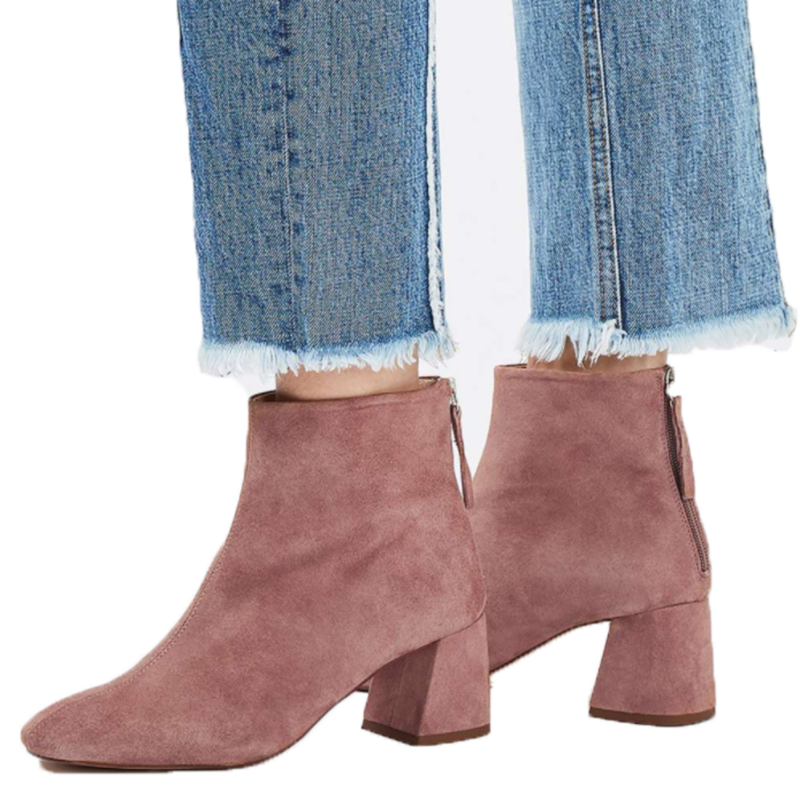 To embrace this pairing, I&apos;d focus on investing in the denim and skimping on the shoes. 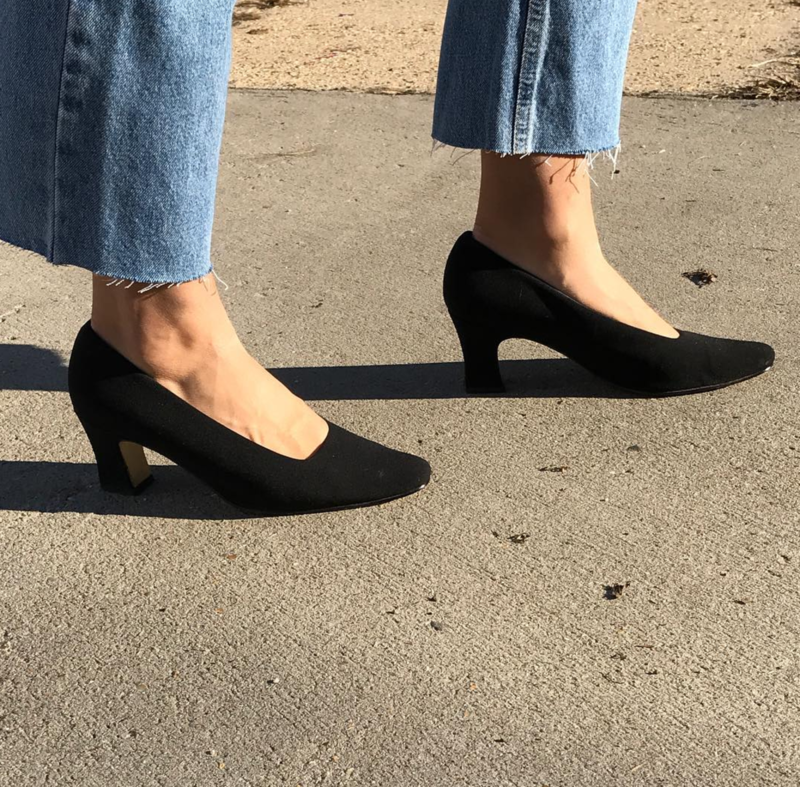 One amazing pair of jeans from a brand like Re/Done, or some of my other favorite denim brands (vintage Levi&apos;s, Frame, Mother) can get you a thousand different looks by swapping in different budget shoes. 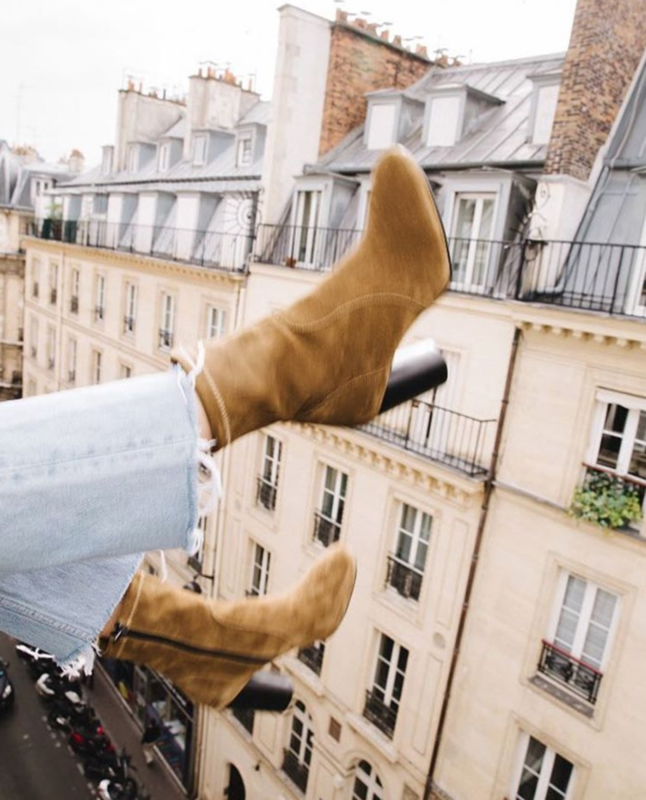 The market I pulled for the footwear piece of this post came from Top Shop and Zara because that&apos;s actually where I look for and purchase a majority of my shoes—they are universally recognized sources for incredibly-designed shoes that are so affordable. 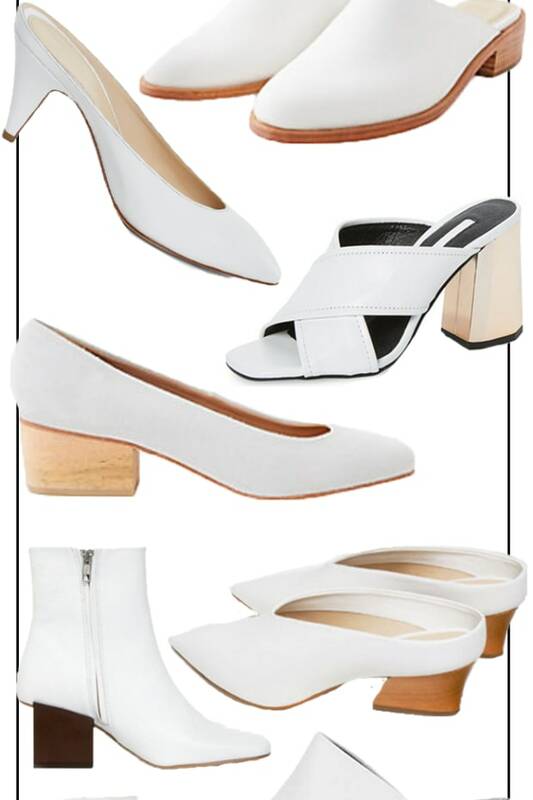 They&apos;re also on-trend, and especially in Zara&apos;s case, often setting the trends while mimicking vintage aesthetics. 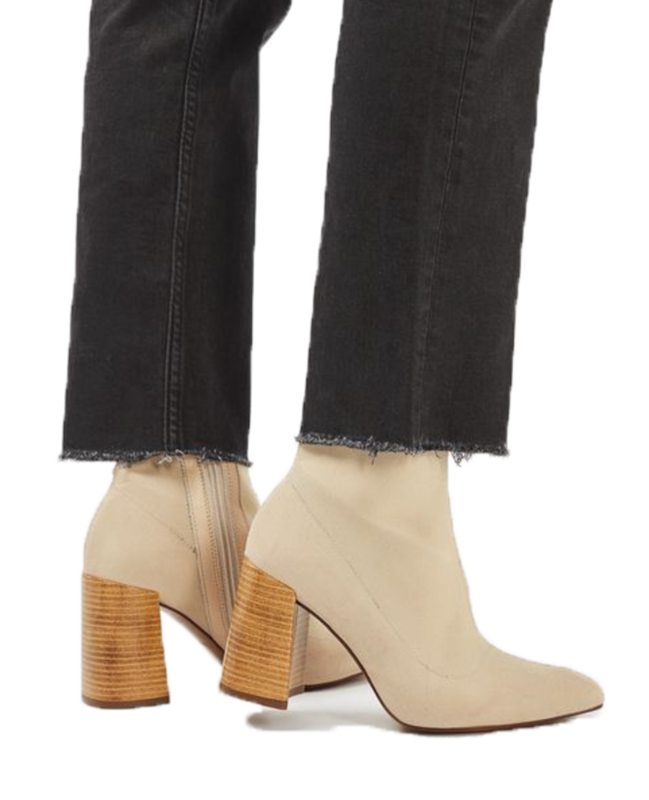 Denim-wise, the length of the pant is key: they can&apos;t be cropped too high–you want the crop to hit just at your ankle bone or no more than a few inches above–so the amount of skin that&apos;s exposed between end-of-denim and top-of-shoe isn&apos;t too extreme. 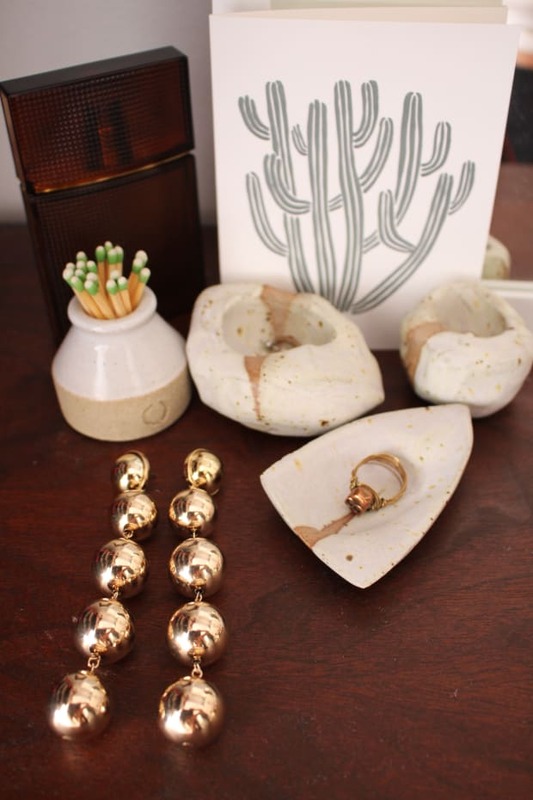 Happy New Year and happy shopping to all! P.S.–here&apos;s an image of Emily wearing the look to perfection a few weeks back! 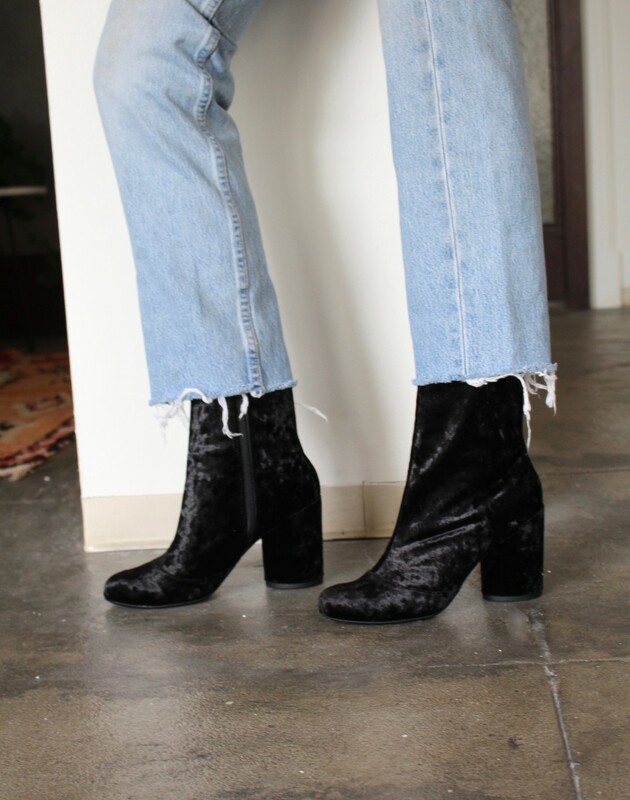 I snagged these boots over the holiday break at the TopShop at The Grove—I love the crushed velvet texture, I’d had a pair of velvet boots on my to-buy list for awhile, and was happy to catch these on sale for $60! 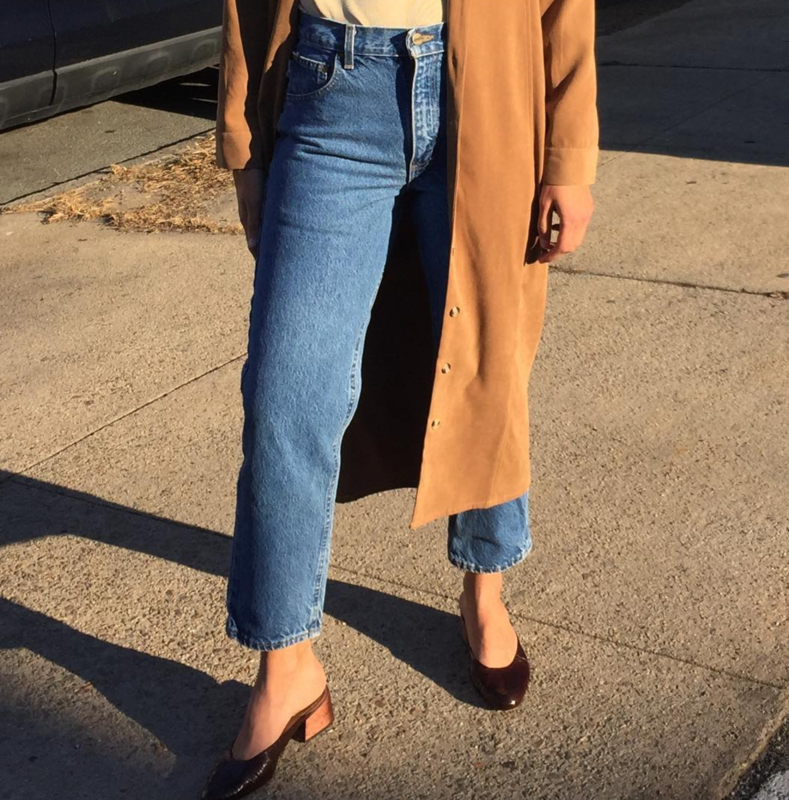 My Levi&apos;s are vintage, which I got at Assembly. 10. 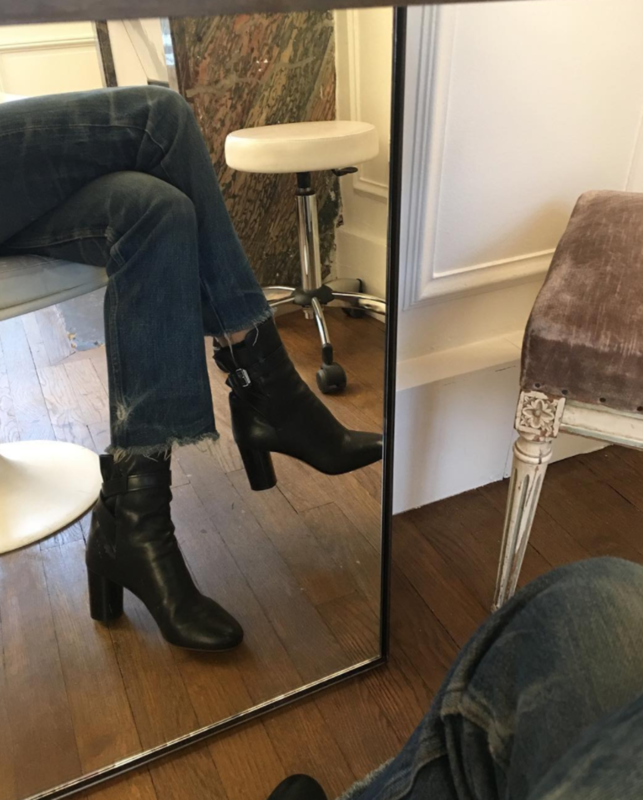 Velvet Ankle Boots (on sale for $60), the ones I&apos;m wearing above!